The design of the new ambulance in the BIG POWER WORKER line is specially designed around the size of little hands. 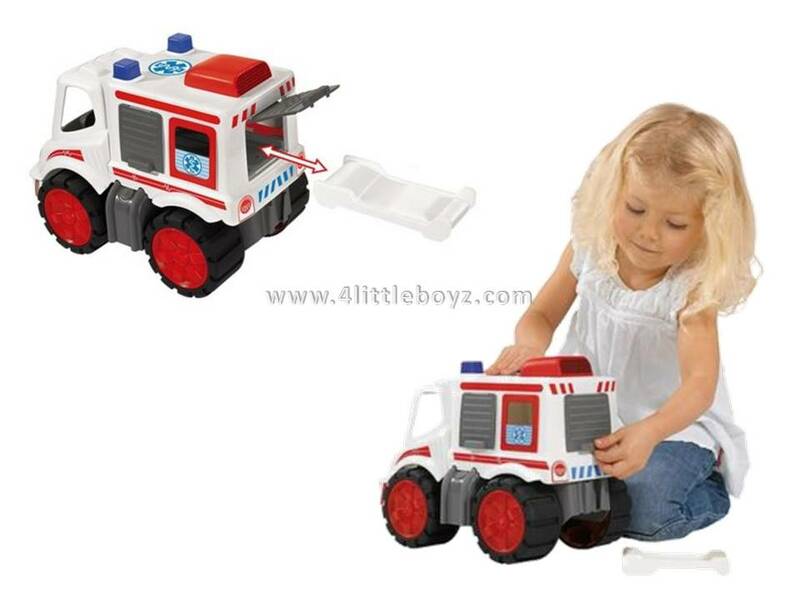 Its robust construction and easy to operate functions make it an ideal toy vehicle for children aged 2 and above. The durable tyres made of a soft material ensure your child will enjoy plenty of carefree playtime both indoors and out.